Why did the Pregnant Workers Fairness Act languish? For Danielle Beitz, a Westfield gas station attendant, the final months of her pregnancy were hellish. Her bosses refused to supply a stool when she worked the cash register, she said. They forced her to shovel sidewalks in her last trimester, denied her breaks, and, she said, would not assign her lighter duty and reprimanded her for sitting during her shift. It was exactly the sort of experience Massachusetts advocates hope to address with the Pregnant Workers Fairness Act, which would require employers to provide reasonable accommodations for pregnant workers. But even as a majority of state representatives called for its passage, the House leadership has kept the measure locked in the House Ways and Means Committee for the past year. “It doesn’t make any sense to be against this; it’s just plain human decency,’’ said Liz Friedman, program director for MotherWoman Inc., which is pushing for the bill’s passage. But Friedman, as well as others advocating for workers’ rights and environmental causes, are up against the powerful Associated Industries of Massachusetts and its 4,000 business members. In fact, they say, AIM, which has for years been business’s most effective lobbying group, has developed new clout in the past year and a half, shaped by the 2014 election of a Republican governor and House leadership that is inclined to accommodate much of the group’s priorities. While AIM had to swallow some compromises at the end of the 2015-16 legislative session, the organization also flexed considerable muscle. The pregnancy-rights legislation — which AIM opposed in written testimony to the House — languishes. A series of other legislative initiatives opposed by AIM hit similar headwinds. AIM’s recent gains meant that the more liberal Senate repeatedly saw its own pro-labor and environmental priorities thwarted. “From my experience, AIM exercises veto power in the House,’’ says Senator Daniel A. Wolf, the Senate chairman of the Joint Committee on Labor and Workforce Development, which handled several major bills that won Senate approval but never saw the light of day – or were watered down – in the House. “They have an undue amount of influence in the State House, more so with the House than the Senate,’’ said Wolf, whose own company, Cape Air, was previously an AIM member. The organization’s government relations team claims to monitor more than 600 bills in each session, and testifies on almost 100 of them. “If you’re worried about it, we’re working on it,’’ AIM tells its members. In recent months, that work proved particularly effective. Wolf said, for instance, that House negotiators made clear to him that a bill giving departing workers more rights when negotiating noncompete contracts would go nowhere without AIM approval. The bill died in a deadlocked conference committee. Another bill creating tough penalties for wage theft by employers, which AIM strongly opposed, passed the Senate in the final weeks of the session, but the House never took it up for a vote. A Senate bill prohibiting employers from asking for credit reports from job applicants met strong objections from AIM. It passed the Senate but was buried in the House. And when the Senate insisted on including a provision in a comprehensive energy bill that would bar utilities from charging ratepayers for new pipelines, the House (despite a majority of its members supporting it) and the governor — and AIM — held a hard line and it never got into the bill’s final version. AIM says keeping electric rates down is critical when trying to keep companies here and lure corporations to Massachusetts. And the group argues that the imposition of what it considers burdensome employment regulations puts hardships on struggling small businesses and costs jobs. Governor Charlie Baker, who chose AIM’s vice president of government affairs, Kristen Lepore, as his secretary of administration and finance, did not comment directly on the organization’s influence, but his office pointed to new laws on pay equity and energy as important business-related accomplishments of the past two years. Lord, AIM’s CEO, said its influence is based on the fact that all legislators have a host of local businesses that are AIM members in their districts. “We encourage them to communicate,’’ Lord said. With its government relations staff well-versed in specific policy issues, Lord said AIM can effectively make its case. Much of the conflict over business-related legislation came to a head this past spring as the House and Senate wrapped up the second year of their two-year session. “The outgoing senator is confusing facts with his own self-serving interpretation of facts,” Gitell said. He said the House leadership took pride in passing groundbreaking bills on energy, transgender rights, pay equity, and economic development. But Gitell said the speaker would not comment on why he has not brought the pregnancy workers protection bill to the floor of the House, where a majority of members are ready to approve it. He referred questions to the House Ways and Means Committee, where it has sat for the past year. A committee spokesman said the panel is still trying “to assess the impacts of the proposed legislation.” AIM argued that there are already provisions in state employment laws to protect pregnant workers — a claim that advocates strongly reject. For its part, AIM clearly sees the House as more in line with its priorities than the more liberal Senate. 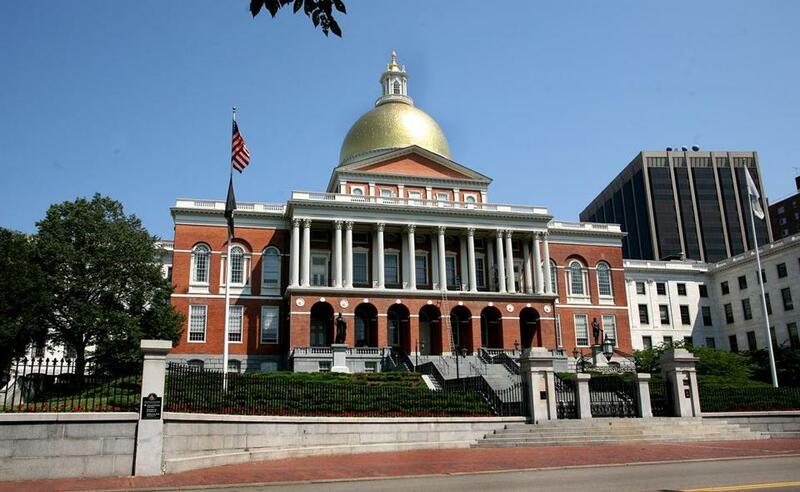 “While the House of Representatives and Speaker Robert DeLeo successfully forge consensus on important measurers such as wage equity and energy, the Senate hewed to a more progressive, ideological approach that produced a steady stream of bills with the potential to harm the Massachusetts economy,” the group wrote in a recent newsletter. According to AIM’s legislative scorecard, only five of 40 senators got grades of 50 percent or more. In the heavily Democratic House, every member won grades of 50 percent or more, with 126 of the 160 members scoring 75 percent or more. CORRECTION: A previous version of this story incorrectly stated that Cape Air is a current member of AIM.